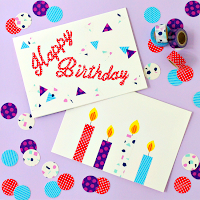 Omiyage Blogs: What Is Washi Tape? The whole washi tape phenomenon started in 2006. A group of artists approached a Japanese masking tape manufacturer - Kamoi Kakoshi - and presented them with a book of art they had created using the company's industrial masking tapes. The artists requested that Kamoi Kakoshi manufacture colourful masking tapes for artists. This was the start of mt masking tape. In the beginning, there were 20 colours, colours designed to bring out the beauty of the rice paper (or washi) used to make the tape. The tapes were a hit - with artists, crafters, and design lovers - both in Japan and, gradually, internationally. With success came new colours, patterns and sizes. But What Is Washi Tape? To put it simply, washi tape is a high quality masking tape made of rice paper. But more than that, washi tape is a material which is beautiful yet useful at the same time. You can tear it, stick it, reposition it, write on it... The low tack adhesive makes it extremely easy to use (and reuse). 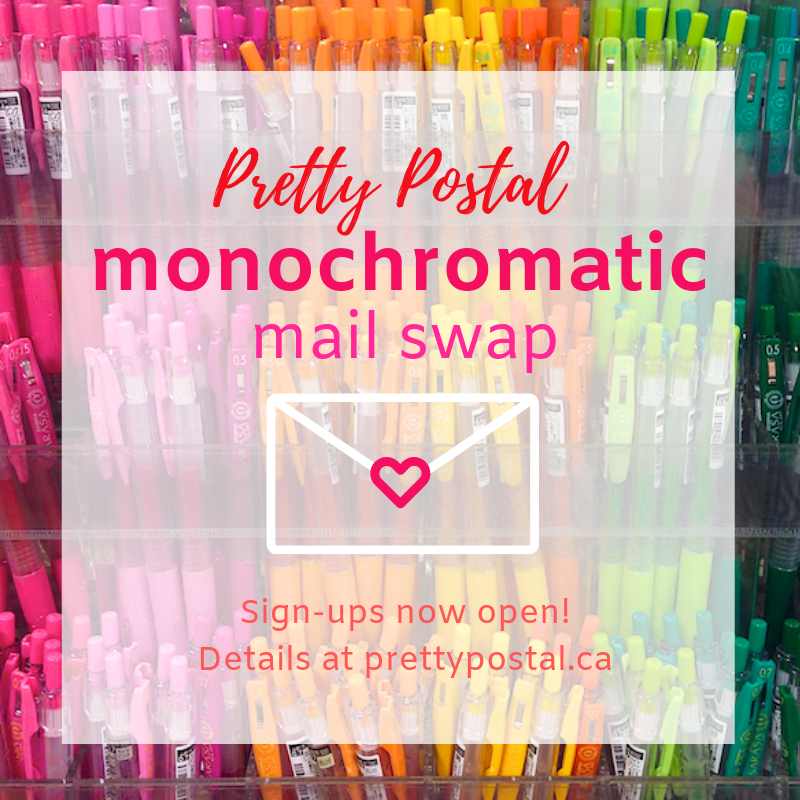 I think it is so popular because it is so easy to use - and looks good while doing it! What's The Difference Between Washi Tape and Japanese Masking Tape? Nothing. They're the same thing! Originally marketed as Japanese Masking Tape, at some point the accepted international term for the tape became "washi tape". In Japan, it's known as masking tape (マスキングテープ) and the most renowned brand of washi tape is simply called mt - which stands for "masking tape". 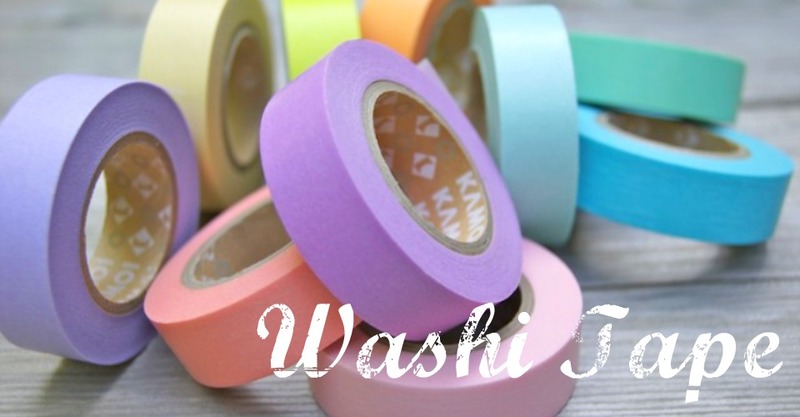 The term "washi tape" refers to the fact that the tapes are made from Japanese rice paper and differentiates it from typical masking tape you might find in the hardware store. What's The Difference Between Washi Tape and Deco Tape? Deco Tape is a plastic tape. The tape itself feels a bit like a thin packing tape and is stickier than washi tape. 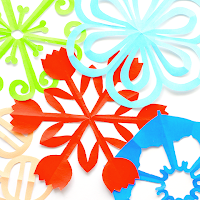 It's great for sealing envelopes and wrapping presents but a little harder to use for paper crafting. What About All Those Online Tutorials For Making My Own Washi Tape? We're big proponents of creativity and DIY projects. Go ahead, have fun! That being said, real washi tape isn't really something you can make at home. The beauty of washi tape is that it is so easy to use - when you have to fuss with paper backings or stamp and draw designs on regular tape, it seems like an awful lot of trouble! You're also missing out on the inherent beauty and translucency of the rice paper used to make washi tape. Both the real and the DIY versions are great, but they don't really replace each other! Why Is Washi Tape So Expensive? 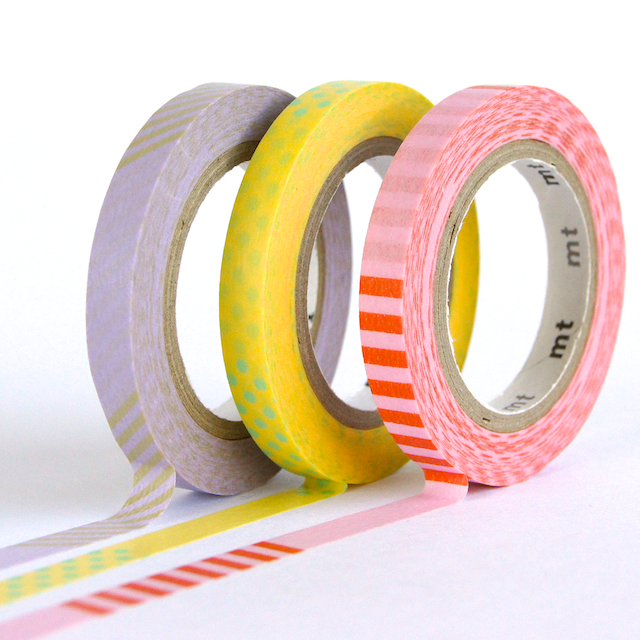 We often hear that washi tape is pricy - but we don't think it is. We like to compare it to ribbon rather than to other tapes. Most of our rolls of washi tape have a generous 15 metres (almost 50 feet!) of tape. If you buy a single roll at $4.50, that's only $0.30 per metre. Try buying unique, imported ribbon at that price! Have more questions about washi tape / deco tape? Please leave them in the comments and we'll be happy to answer them for you! 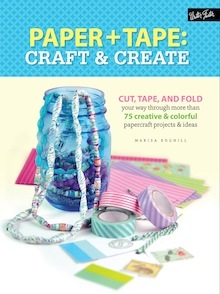 All this talk of washi tape has you craving some of your own? Visit our Tape section for a wide variety of washi and deco tapes! I was just wondering what the difference was between deco and washi! Great post! I love Washi! Thanks! If you have any other questions, feel free to ask! Cool! I was just gifted a super-cute little roll of washi tape and was wondering what was so special about it. Now I know! Please don't use the phrase "rice paper" to describe washi. It's a common enough misnomer, but it just doesn't make any sense! There is no rice involved in making washi. Instead, say "washi" or "Japanese handmade paper". Thanks your answer clear my doubt!! @ P Kaloolie - Thank you for your comment. While it is true that the term "washi" does not mean "rice paper" (it is the term for handmade paper typically made from kozo, gampi and/or mitsumata fibres), washi tape is indeed described as "rice paper tape" by the manufacturer. Both the terms "washi paper tape" and "rice paper" are given to us by the manufacturer. If you visit mt brand masking tape's website and take a look at their "The Birth Story of mt" section, you can not only discover the history of mt masking tape, but also see that they describe their tapes as being made from rice paper. I've been searching for washi tape for at least a year now and was convinced that it was only available in Japan. Today I finally found it in the v and a museum. Great post! I know that this is used extensively in scrapbook projects but it isn't acid / lignin free is it? I worry about it's archival quality. The manufacturers of high quality washi tape do indicate that it is both acid and lignin-free. However, we are now seeing more and more cheap washi tape coming to market which is not made in Japan - we can't verify whether or not these tapes are acid/lignin-free. Wonderful post - that explains it! It sure is popular, isn't it? 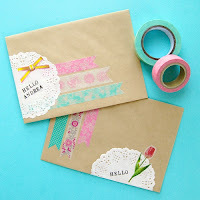 I've posted about washi tape as well today and have this linked to it - thanks! Is it washable? I'v seen where it is taped onto bags and aprons. Do you have to sew it down? I've never heard of it being used as a permanent accent on fabric. I wouldn't think it would last through rigorous use / washing. It's essentially a low-tack paper tape - but just a very pretty one! how strong is washi tape? is it as strong as masking tape? Hi Gina - I'd say that washi tape is more delicate/thinner than regular masking tape but less brittle. What were you hoping to use it for? Perhaps I can give a clearer answer on strength if I know what you're hoping to do with it. 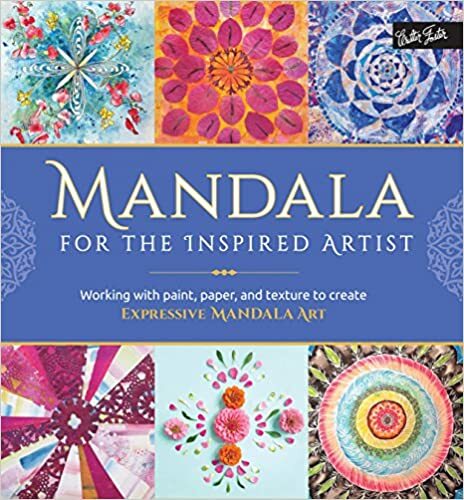 I use it to stick things to walls and have some pieces which have been stuck for over one year which have not dried out or lost their stickiness. It can be used to seal envelopes for mailing, but is not strong enough to seal boxes. How well does it come off of walls? I am renting so I need to make sure it won't rip off any paint! I want it to stay on for long periods of time and I'm scared it will damage the walls. I have never had it damage walls, but really cannot make any guarantees. That being said, I have pieces of washi tape which have been stuck to walls for over a year which easily remove without causing damage. I would recommend testing a small piece, leaving it in place for about a week and then removing to check how easily it removes / whether it will cause damage before creating a large installation. Is there any difference in the stickiness between washi tape and normal masking tape? They are both made using low tack adhesive, so I would say they are around the same stickiness. That being said, I haven't actually had a regular roll of masking tape in a year or so. They are both very easy to stick, remove and reposition though. Hope that helps! I've decided to purchase some for decorating glass jars to make into vases but was wondering, how well will it hold up against being washed? It is a paper tape so, in my opinion, it's not really the sort of thing you'd want to wash. It's more of a temporary vase decorating technique than a permanent one. The rolls we carry have between 12-15 metres of tape though, so if you were to remove it and redecorate your jars over and over you'd have plenty of tape to do so! is it anything like electrical tape? No - it's essentially coloured masking tape. The quality of paper used is nicer than your run of the mill masking tape, but that's the best comparison. Do you sell washing tape? I live in Tasmania n I like card making but I doubt we have washi tape in store. Do any stores in Calgary Alberta or Thunder Bay Ontario sell it? Or can I only get it online? I'm not sure about the availability of washi tape in local shops. Sorry! Would it be possible to use washi as a permanent border on acrylic painted walls? We are considering a thin line below cornices. It is high enough to avoid any contact or dirt, but will it stay put with changes in temperature in humidity? I'm not sure that it is your best choice for a permanent border. I have tape which has been in place for over a year and is just fine. That being said, I would only consider it for temporary vs permanent applications in home decor. I've seen various pictures around on the internet showing the washi tape used for decoration on candles in glass containers. As I make homemade candles, and most of them are made in glass jars, I was thinking the tape would be a great, easy way to put some really beautiful designs on the glass. Would you know if the heat from burning the candle would cause the tape to peel or loose its tackiness? I have also seen people saying they have sealed the tape onto the glass using an acrylic type sealant, and others suggesting the modge-podge idea, for a more permanent decoration. Would this seem like something that would be effective? Hi Kels - thanks for your question. Unfortunately, I don't have a definitive answer for you - I haven't experimented with washi tape around candles in glass jars. The heat might cause the tape to dry out, but I'm really not sure - sorry! Do you ever label your candles? How does the sticker / label hold up to the heat? Your best bet might be to pick up a single roll of the tape and try it out. I have seen washi tape mod podged over and it seems to work - like a decoupage - but I'm not sure how the mod podge / the sealant would react to the heat of the candle. Personally, I like to think of washi tape as a temporary vs permanent decorative solution. If the tape falls off, replace it with another piece. (That being said, I've rarely had a situation where washi tape actually fails me). Hey! 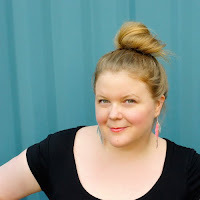 I am a big fan of Pinterest, I actually follow you! If you want you can follow me! My account is mcait99. Sorry I got a little off topic there.....here's what i was trying to ask you...I've seen you post a lot of things on Pinterest about Washi Tape...where can you get it? We actually sell it in our online shop! How is it pronounced? Lady on t.v. keeps saying "wasi tape" as if the h is silent? Which is it?. It's pronounced as it's written - with the "sh" sound. Would love to know where you saw info on washi tape on tv. I want to use Washi tape on glass but want to know if it can go in the oven? Washi tape is a kind of paper masking tape. I would not recommend putting it in the oven. Doing so is probably a fire hazard. I have linked to this via my blog, as it was too interesting not to share. I hope you don't mind! Thanks for sharing! Cute project! Does it peal paint from walls? I like to tape up my drawings on the wall, but my parents are worried about the paint. Will this work permanently, or no? Hi Sanjida - we have found that this depends on the condition of your walls. Smooth walls usually have no problems but older walls with layers of paint or chipped paint can be damaged when tape is removed. If you are worried about damaging your wall, we recommend testing a piece of washi tape in a small inconspicuous area to make sure it is compatible with your painted surface before committing to lots of tape. What if i left washi tape on a table top for about a year, would it still peal off nicely? Hi Jessica - it really depends on the surface of your table. I haven't left tape on a furniture surface for that long, so I'm really not sure. I have had tape on walls for more than a year which peel off nicely. Sorry I couldn't be more helpful - good luck! I often use masking tape and they are very easy and decorative to use and bring charm to my crafts. Does it stain the walls or paper if left for an extended period of time? 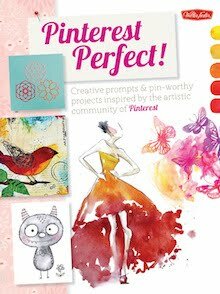 I was wondering if I were to hang some art prints on the wall, or other paper art with washi tape for an extended period of time, would it rip, stain, or damage the paper/print underneath it at all? I would get acid free washi tape of course. Also, is it reusable at all? Hi Raychelle - that's a bit difficult to give a definitive answer to as not all washi tapes are made equal and not all paper plays nicely with the tapes. Most art prints can be taped up safely using good quality washi tape without being damaged, however, some papers may tear when the tape is removed. It's hard to determine which papers will tear without actually testing it though smoother papers tend to be safer than textured ones. In terms of staining - if the print is taped up for a long time, you may find a different colour under the tape since the print itself may fade while the area under the tape will not. Also, dark tape colours sometimes transfer ink to the surface they are on - I've found this with really saturated dark green, purple and black tapes. Yes, the tapes are usually reusable. I have had tape on walls for over a year that can easily be peeled off and restuck. That being said, the more you reuse it, the less sticky it gets as the adhesive gets worn away a little each time you apply / remove / reapply. hi I'm, wondering if you can tell me if washi tape would stick to the fabric on the outside of of a blood sugar meter case (heavy black nylon canvas)? Hi Diane - it should! Every brand of washi tape is different but I just tried some here on black nylon canvas and it adhered quite nicely. Do keep in mind that washi tape is slightly translucent so a hint of the black will be visible through the tape. Hello! I am desperately looking for a Japanese manufacturer who could print bespoke washi tape for my brand. Do you have any ideas for me to where I could look at? MT doesn't seem to offer this service. Hi Alex - I think you'll need to look to Chinese manufacturers for custom washi tapes. I don't know of any of the Japanese manufacturers who offer this service. Okay so does it come off the walls without taking off the paint?? Sorry also does it rip the picture? Hi Angel - sorry, I can't give you a definitive answer. It comes off MOST walls without damaging the paint but this really depends on the quality of the tape and how smooth the walls are. Older walls with many layers of paint are more likely to lose paint when the tape is removed. And, again, it depends on the picture and the tape - while it will peel off of most pictures without any damage, sometimes the washi tape will catch on and tear the picture. 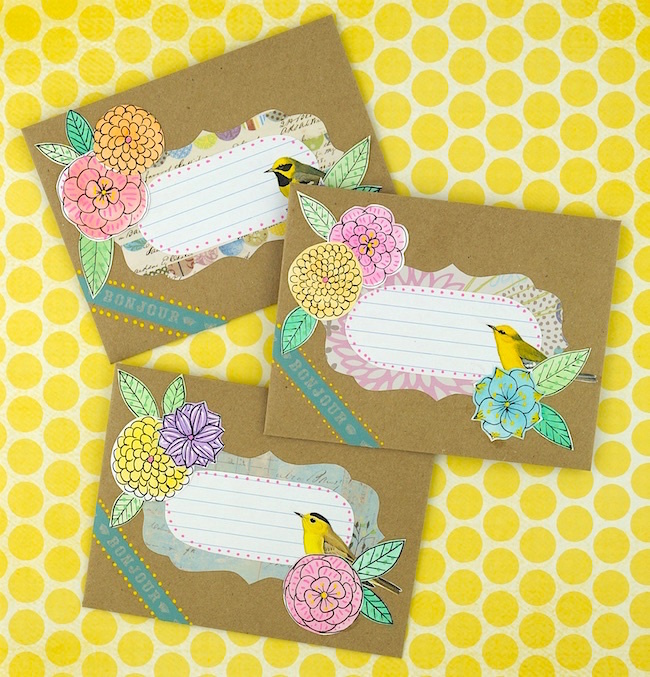 Would washi tape hold up for sealing envelopes to be mailed? I have 850 Christmas cards I do not want to lick! Sponge is too messy & making card & paper too wet. words! You'll be glad you did. Or is my whole idea too demanding of this interesting "tool + material" for it to work well in this way? Thanks, Omiyage, for any input you can supply! Hi Miranda! I realize that your post id nearly 3 years old but I was wondering if you ever found a satisfactory answer to your question, or if you eventually tried this out for yourself. I ask because I am hoping to use washi tape for the same purpose as you described. Would love to hear back from you. Thanks! 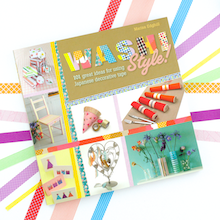 Can Washi tape get wet? Like can it go through the Washing machine? Will it get ruined? Our daughter asked for a purple car for Christmas. Because of her age and size, a small 48v is what we went with, but we could only get it in black or red. We went with black, hoping to accessorize in purple. My question concerns the use of washi tape to decorate it. We would want to be able to remove all the "girliness" from the go kart once she outgrows it so we could give it to our son. The go kart will be stored in our garage and not used in the rain. I appreciate any insight you have, thank you! I'd like to washi tape by bicycle. How will it stand up to rain? Can you iron washi tape to make it stick better? I put some on a t-shirt and only need it to last through Halloween. Is regular masking tape good for sticking paper on walls for a very long period of time? It wouldn't damage the walls or the paper, right? Can you write on it with a fountain pen?